Todd Jackson, President/CEO is the creative force behind Big Blue Adventure and Seventh Wave Productions. He has over 25 years of experience in all aspects of production, event coordination and marketing. Originally from Ann Arbor, Michigan, Jackson grew up as a hockey player, dingy racer and windsurfer. He moved to the Bay Area in 1980 to attend UC Berkeley. Todd got his start in event promotion with windsurfing and roller hockey events, but quickly became an early supporter of triathlon, paddling, endurance sports, and adventure racing. He has been creating and producing events in California and Nevada for over 20 years and is a full-time resident of North Lake Tahoe since in 2003. Cross-country and downhill skiing are Todd’s winter pursuits. During breaks in the heat of event season, he heads for mountain biking trails in Tahoe, dirt-biking in Nevada, and Laser sailboat racing off Tahoe City. Todd and his wife Julie Barnett have a beautiful daughter Zoe, born in 2008. Bryan Rickards, Director of Operations This Indiana native has spent the last three years living in the Lake Tahoe area working in the ski industry and consulting. 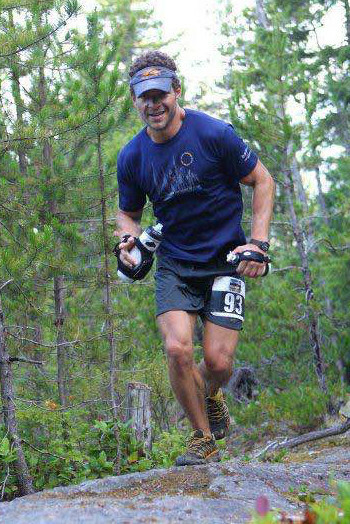 Prior to moving to Tahoe and joining Big Blue Adventure, Bryan worked in the running events world for seven years with the New York Road Runners (NYRR). During his tenure with NYRR he developed the project management blueprint for the New York City Marathon and worked directly and indirectly with over 60 events per year. His experience with major sponsors, city agencies, operational elements, participants and media partners directly attributed to the significant growth and success of the Marathon and the organization as a whole. Prior to his time with NYRR Bryan was in the telecommunications sector where he managed portfolio REIT accounts for Verizon INC. Bryan holds a B.S. in Business and M.S. in Information and Communication Sciences from Ball State University. He and his wife Jennifer live in Carnelian Bay where they both enjoy running the trails, stand up paddle boarding and skiing. 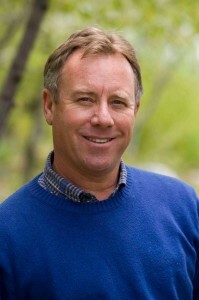 Chaco Mohler is a content creator and marketing consultant based in North Lake Tahoe for 30+ years. An editor of numerous publications, including Skiing Magazine, Chaco was Tahoe Quarterly magazine’s first Editor-in-Chief, then its Publisher. He’s been a friend and advisor to the Big Blue spirit since he and company president, Todd Jackson, met at a windsurfing competition in 1980. Gil Gaus is the graphic artist behind Big Blue Adventure’s distinctive logos, design and apparel. 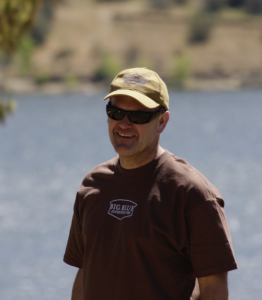 A 20-year resident of North Tahoe, Gil has been part of the Big Blue Adventure team since 2003. 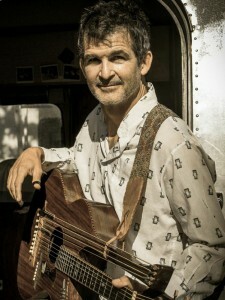 He is an avid windsurfer and skier, also occasionally finding time to pick up a guitar and play a local gig. Jose Olivares is a consummate tech evangelist and programmer who has been part of the Northern Nevada’s technology landscape for two decades. A member of the Big Blue Team since 2006, Jose has proudly watched it blossom into a subculture embraced by thousands. He is a co-founder of Codeintel, a software engineering firm headquartered in Reno.